ED WYNN, MAJOR BOWES & RED SKELT0N ALL JUMPED OUT OF THE STARTING GATE IN THEIR FIRST NETWORK RADIO SEASONS. What a difference one season could make during the Golden Age as programs either leaped to immediate popularity or plummeted out of the Annual Top 50 charts contained in Network Radio Ratings, 1932-1953. However, both the winners and losers in the annual race for ratings had one thing in common. They either satisfied or defied Claude Hooper’s seven conditions governing program popularity - plus one that I added - found in the book’s section titled Handicapping The Ratings Race found on page 21. The three major conditions are what I call The Three C‘s: Program Content, Program Competition and Program Consistency in eithertime, day or network of broadcast..
Only 13 programs burst into the Annual Top Ten in their freshman seasons. Three more returned to the Top Ten after a year off the air. Here they are in order of their first year ranking and how fared in their second season on the air:..
(a) Red Skelton's return season from a year’s service in the U.S. Navy. (b) Fred Allen’s return season after ill health forced him off the air for a year. (c) Fanny Brice & Frank Morgan were reunited in a reformatted version of their 1938-39 Top Ten Show, Good News. 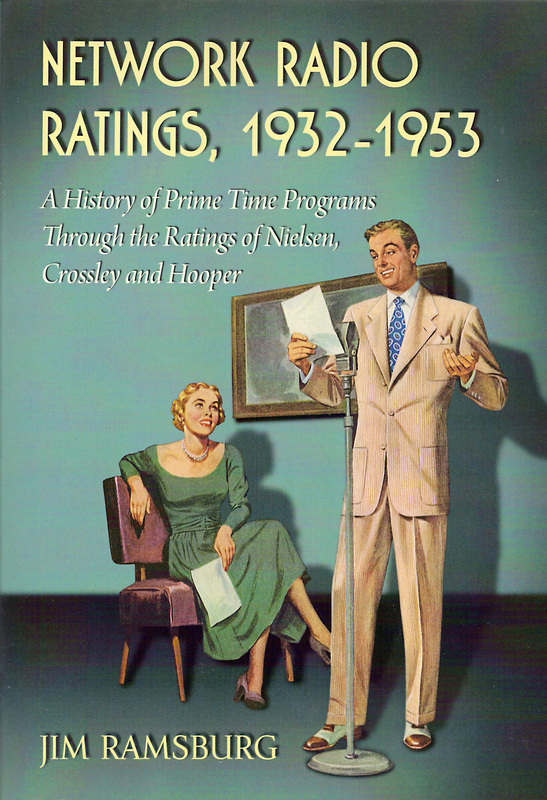 (d) No ratings are analyzed beyond the 1952-53 season. Ventriloquist Edgar Bergen clearly made the biggest impact of these programs - establishing his Sunday night Chase & Sanborn Hour as Network Radio’s Number One program for its first two seasons on the air and every month during those two seasons. Close behind Bergen’s record setting pace was Major Bowes’ Original Amateur Hour which moved into first place in its second season on the air and ranked first in every month of the 1935-36 season. It’s interesting to note that both Bowes and Bergen were sponsored by Standard Brands’ Chase & Sanborn Coffee on NBC’s Sunday night schedule at 8:00. All but two of these 16 programs remained in the Annual Top Ten in their second seasons. Only Jack Pearl and Pot O Gold dropped off the list. What happened? The answer can be found in the Three C’s noted previously. Regarding content, Jack Pearl’s Baron Munchausen character with his catch phrase, “Vas you dere, Charlee?,” grew old quickly. In addition, Pearl’s scheduling was inconsistent - moving on NBC from Thursday at 10:00 to Saturday at 8:00 to Wednesday at 8:00, all within the span of seven months. In addition, the final move placed him against the competition of Eno Crime Clues, which trailed his ratings by less than a point. Pearl fell from the Top 50 the following season and never returned. The same fate befell Pot O Gold, and again for the same reasons. Pot O Gold’s novel content of pop music and huge cash prizes - a minimum of $1,000 awarded to people who answered their randomly selected telephones when the program called - wore thin when its audience realized that listening to Pot O Gold wasn’t a prerogative to winning the prize. Then, after the FCC questioned the program’s legality under lottery laws that existed at the time, NBC got spooked. The show was moved from its Tuesday night NBC timeslot for its second season on Blue’s Thursday night schedule against Maxwell House Coffee Time, NBC’s Top Ten comedy show starring Fanny Brice and Frank Morgan. Close but no cigar, these shows had great first seasons, but missed the Top Ten:　1938-39 Bob Hope Pepsodent Show, 12th, and Orson Welles’ Campbell Playhouse, 12th; 1942-43 Abbott & Costello Show, 11th; 1944-45 Hildegarde’s Raleigh Room, 14th; 1946-47 Phil Harris & Alice Faye Show, 12th.